(Newser) – Authorities say a 6-year-old Florida boy is dead after his father pinned him against a couch while the man and his girlfriend played video games Christmas Eve. 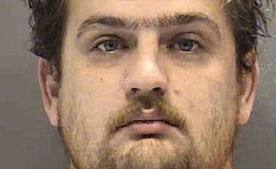 Local media outlets report that 31-year-old James Dearman was charged Thursday with aggravated manslaughter of a child. A Sarasota County Sheriff's Office report says Dearman and his live-in girlfriend told the victim and his 7-year-old brother to go to bed but the boys continued to run around. Dearman's girlfriend told deputies that the father eventually became angry and used his full body weight of 270 pounds to pin his younger son to the couch, with the boy facing the rear cushions. the gaming generation has raised some real degenerates.